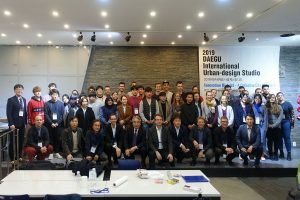 SKKU, Yeungnam University, Keimyung University in Korea, HsKA, KIT, and HfT in Germany held an international joint urban planning workshop on the site Dongchon in Daegu under the subtitle “A collective city approach”. 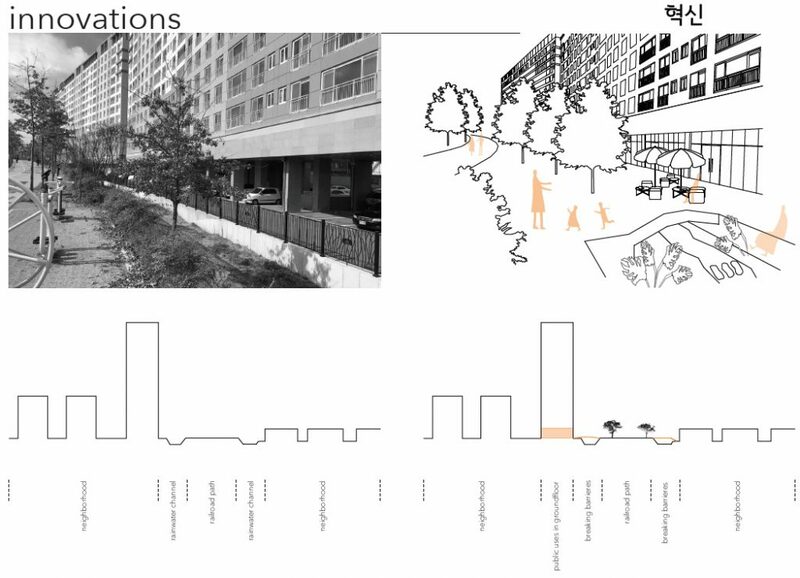 In this Workshop, Participants sought to create concepts, strategies and plans for the site considered variable dimensions – Urban planning, transport, water, and energy. Through cooperative working between not only international participants also interdisciplinary field, participants could develop an integrated urban regeneration concept. 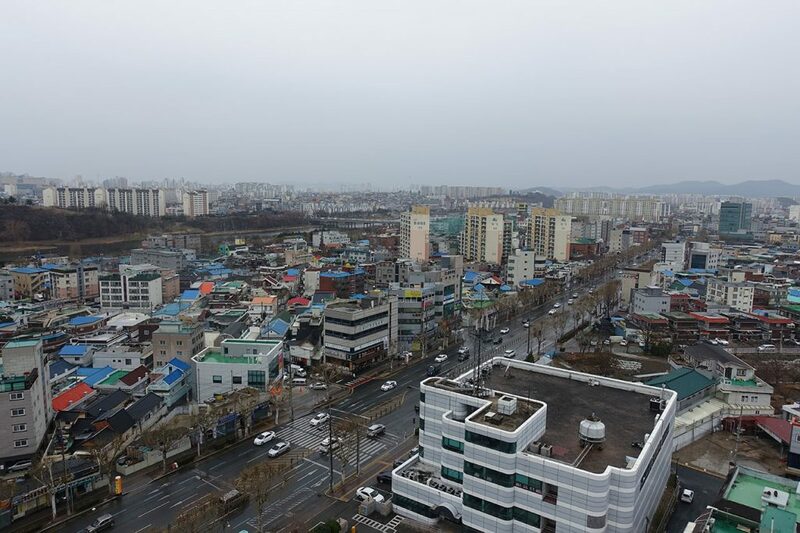 “Innovation District” Dongchon has a lot of potential – international airport is located direct to northern side; also it is placed near from city centre and central railway station even with public transport. However, development regulation near airport and economic situation have controlled growth of this area. 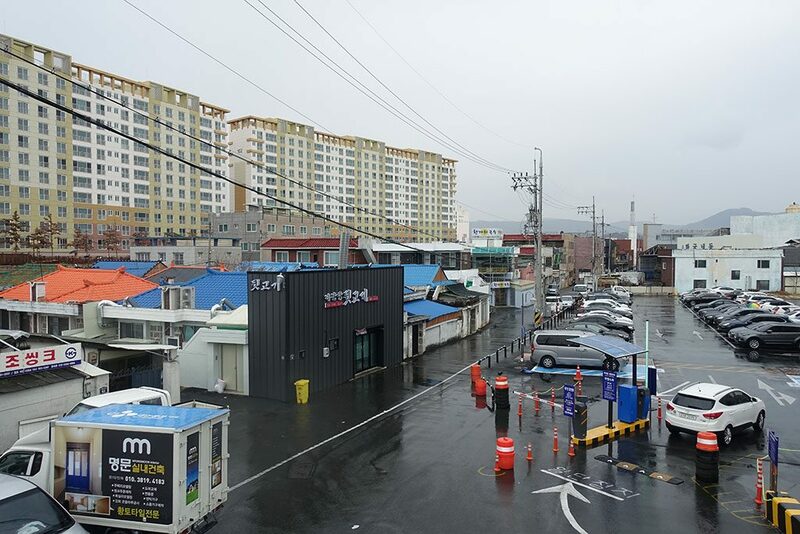 Despite of huge potential, this site remains as a low-developed quarter with low-density and old buildings, although it was partly as a high-rise housing redeveloped. 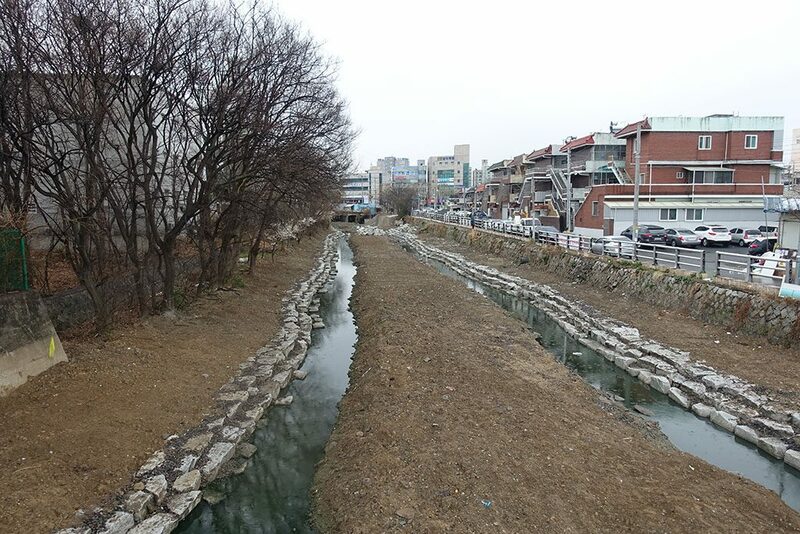 Therefore, this site has reflected also much of Korean urban structure and scenes. 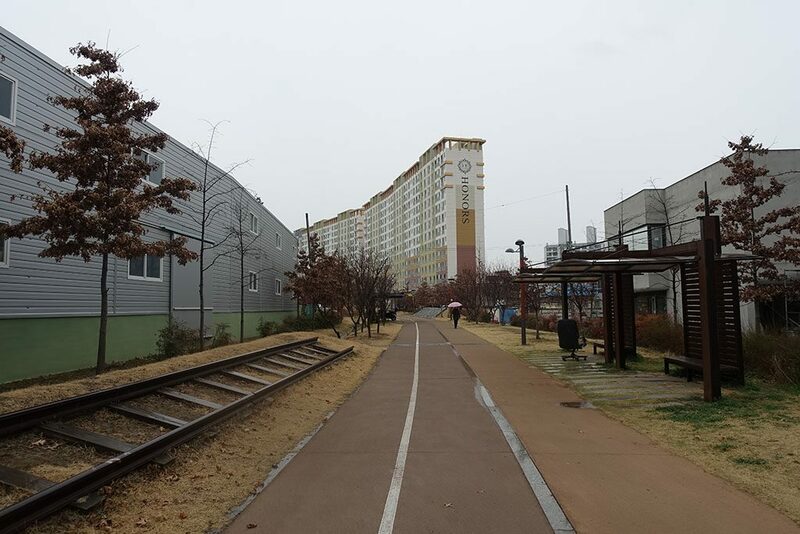 Student participants worked with Dongchon area and suggested innovative strategies, which contribute to upgrade their quality of life in Dongchon, considering 4 dimensions; urban planning, mobility, energy and water. 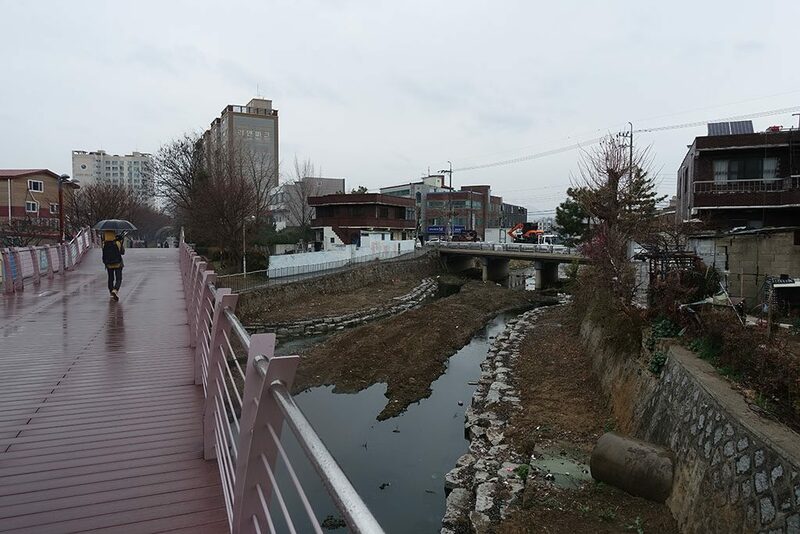 Every student team suggested network stragtegy of exsiting natural environment: Geumho river, Bangchon stream and connection to the mountain on the northern side to make up green space. 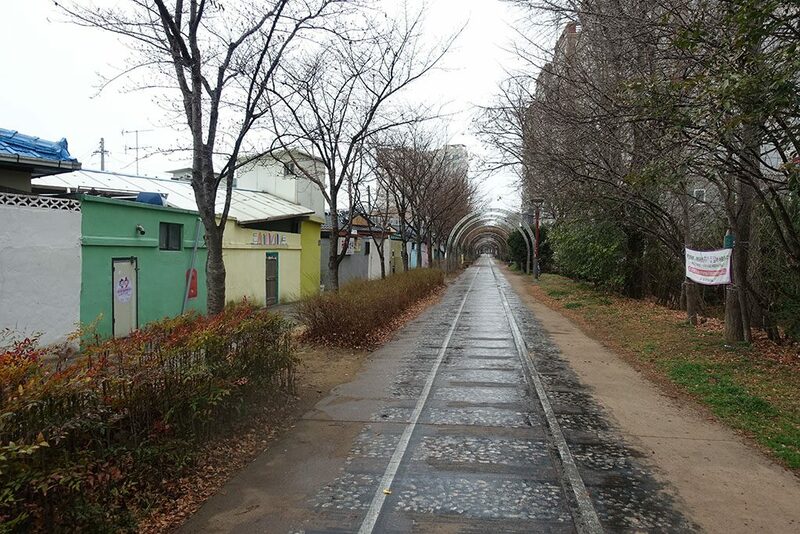 Also tram, bike lane, and new concept of car parking were discussed and applied. To avoid car-oriented village and to promote eco-friendly mobility options, new mobility concept and stratgy are needed in this village. Some groups proposed a car-free district or centralized car parking concept to liberate from car traffic in the place of everyday life. Additionally water recycle and circulation was a hot theme in the workshop. Although the site has plenty of connection to the water, circulations was not considered, also even ignored. 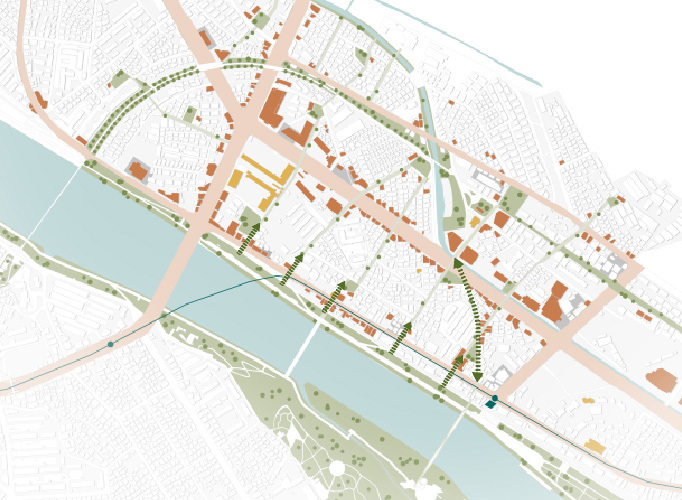 As a comprehensive approach, some student groups tried to integrate a water circulation systems into their master plan. Studio works will be more developed with tutors in each university, then we will publish results of work as a brochure in summer 2019, also submit for exhibition of 2019 Seoul Biennale of Architecture and Urbanism from 7th September to 10th November in Seoul.